Hello!!! 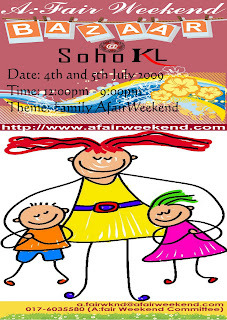 Come and visit our booth this weekend @ A:Fair Weekend Bazaar. There'll be cupcakes, cheesecakes and coconut jellies. And, we will be combining our booth with Triplebee Boutique.